Maryland’s House Speaker Michael E. Busch plans to lead an effort to enshrine a woman’s right to terminate a pregnancy in the state constitution, joining a number of other states attempting to preempt any move by the Supreme Court to erode abortion protections. “If [voters] decide that this becomes part of the constitution, a woman’s right to choose will never be debated, it will never be a bargaining chip” in the legislative process, Busch said Wednesday evening. Busch, who has led the House chamber since 2003, said the amendment would essentially insert Maryland’s existing abortion statute into the state constitution. That law was approved by the General Assembly in 1991. After antiabortion groups petitioned it to a referendum, it passed with 61.7 percent of the vote. So, ultimately, the constitutional amendment proposed by Busch would accomplish….nothing. All it would do would be to take the language from the Maryland Annotated Code and replicate it over in the Maryland Constitution. That’s it. None of this would be affected by the U.S. Supreme Court overturning Roe v. Wade; even if Roe v. Wade (or, more accurately, Planned Parenthood v. Casey) were overturned, the issue would devolve back to the states and the language currently in Maryland state law would still govern abortion here. The only way that abortion could be outlawed in Maryland would be an amendment to the U.S. Constitution to ban abortion and, sadly, we are nowhere near that amendment being adopted. And if that amendment were to be adopted, it would supersede Maryland’s state language regardless of whether or not it were in state law or the state constitution. So, what’s the point of this amendment? It has everything to do with politics. Maryland Democrats are not enthusiastic about their chances right now this fall. They are starting to realize (if they have not done so already) that Ben Jealous is not the candidate to take them to the promised land. Not only that, but Democratic candidates and operatives are realizing that Jealous is going to be a drag on the ticket that is going to potentially affect Democrats up and down the ballot. Just look at the reaction to Jim Mathias and his non-endorsement of Ben Jealous to see how the Jealous brand of radical socialism is playing in swing districts in the State Senate. With Democrats playing defense in competitive districts where Jealous is not popular like Senate Districts 3, 8, 30, 32, 38 and 42, the Democrats need something to keep their voters and volunteers interested in this election. Busch’s proposed amendment is a ploy to do just that. Since abortion is a sacrament of the Democratic Party, anything that Democrats do to protect a woman’s “right to choose” is considered sacrosanct and of the utmost importance. Hence Busch is throwing out this amendment proposal in order to keep the Democratic base interested in this election. There is precedent for this sort of idea. I had Bob Beckel as a professor in graduate school, and he would talk about his time as campaign manager for Walter Mondale’s doomed campaign in 1984. When the campaign realized that Mondale was going to lose, they made sure to tack their campaign to the left late in the race. The reasoning was that the Mondale campaign wanted to keep left-wing voters engaged in order to protect Democratic members of Congress. It worked. Busch is reading from the same playbook in an effort to protect Democratic members in the House of Delegates and also to stave off Republican efforts to win five seats to create a veto-proof minority in the State Senate that would not only be able to uphold Governor Larry Hogan’s second-term vetoes, but also protect us from constitutional amendments like this one. While Speaker Mike Busch is showing just how weak Maryland Democrats are, it shows us just how imperative it is for conservatives to elect five more Senators this fall. 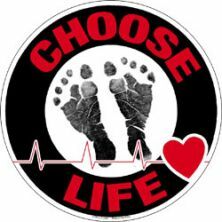 And make no mistake about it; no matter what happens this fall, we at Red Maryland are 100% pro-life and will do whatever we can to make sure that this Constitutional amendment does not pass. "It’s impossible to find a disinterested view of this presidency"